All inclusive. No waiting in line. Mercedes car. 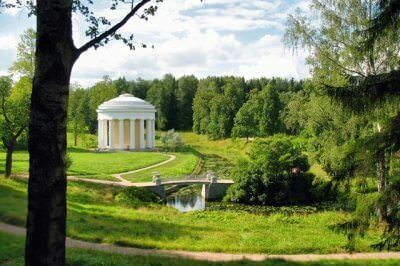 The duration of an private guided tour to Pavlovsk is for 5 hours. (If it is not within the limits of St. Petersburg, it is spelt out individually). 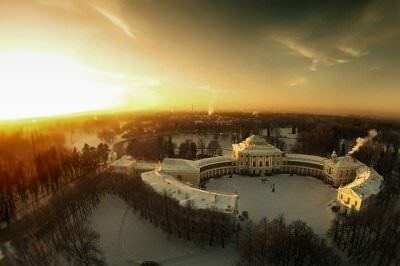 In the late 18th century the palace and park ensemble of Pavlovsk became the summer residence of Catherine II's son Grand Duke Pavel Petrovich and his wife Maria Fyodorovna. Catherine II gave the land for the birth of Pavel’s first son. 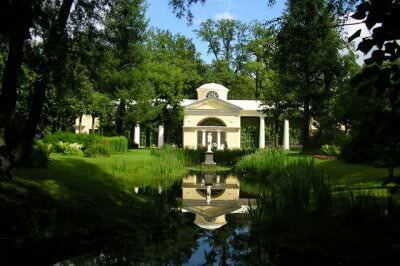 But because Pavel loved Gatchina much more, he gave the land to his wife. 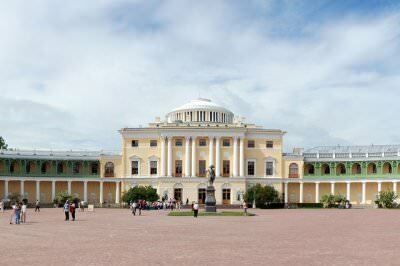 Maria Fyodorovna actively participated in setting up the palace and the park. 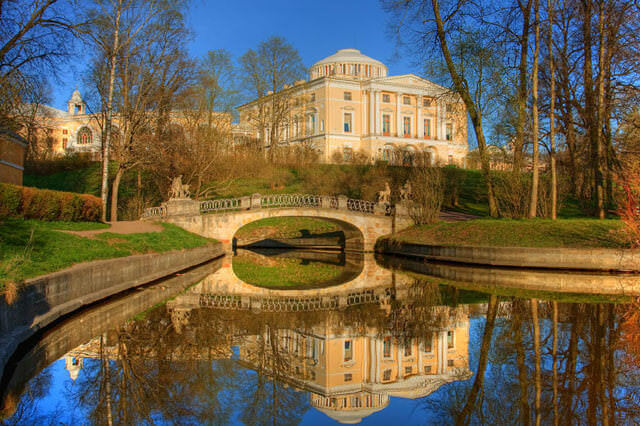 The Pavlovsk Palace was built in 1780-1786 under the project of Ch. Cameron. Before these days, the park has retained the charm and flavor that the Empress put into it. 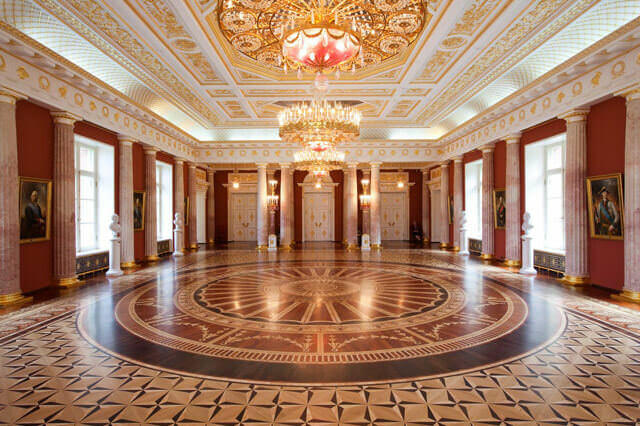 We can feel it everywhere: from green spaces and flowering trees in the park to elegant furnishing, paintings and sculptures which decorate the palace. Our way to Pavlovsk is going to hold along the same road which some time the tsar family was getting to their country residence. Along the way, we will be able to see the famous heroic World war II frontline, Pulkovo Heights, and other attractions that will meet us on the way from your hotel to Pavlovsk. The Pavlovsk Park which is the largest and the most beautiful parks in Europe. 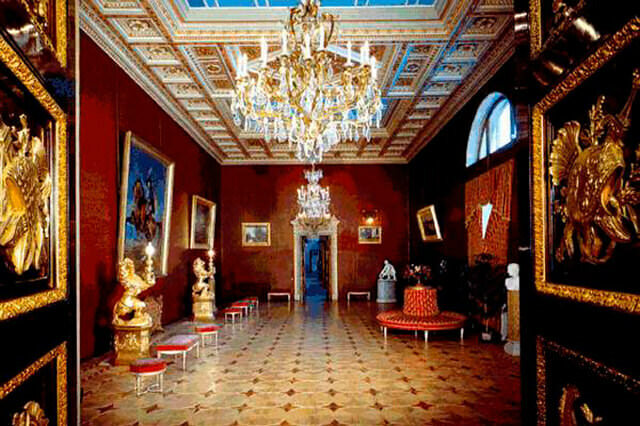 The Pavlovsk Palace with state and living rooms including Empress Maria Fyodorovna’s rooms. We providing private guided tours to Pavlovsk in English, German and other languages.